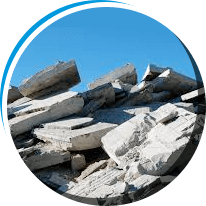 Construction and demolition (C&D) materials consist of the debris generated during the construction, renovation, and demolition of buildings, roads, and bridges. C&D materials can be hauled off in a timely manner and provide a container within 24 hours. Removing most bulky, heavy materials, such as concrete, wood, metals, glass, and salvaged building components. 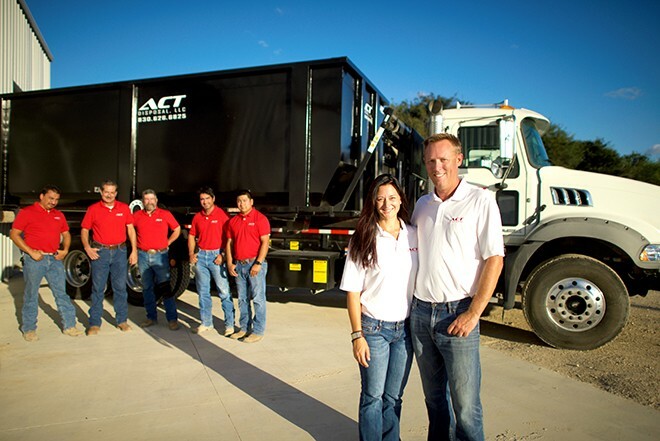 ACT Disposal is a locally owned and operated company that is looking to help with your roll-off container needs in the San Antonio, New Braunfels, and Boerne areas. We would be more than happy to talk to you about our rates for a 20, 30 or 40 yard roll-off containers. At ACT Disposal we are committed to service. We will handle your container needs within 24 hours of the superintendent calling it in, many time on the same day. If you have any questions please contact us, and we will be happy to answer them. © 2018 ACT Disposal - All Rights Reserved.